(You can read about past lovely trips here and here) One of the things you must find when visiting such a nostalgic city is good food. 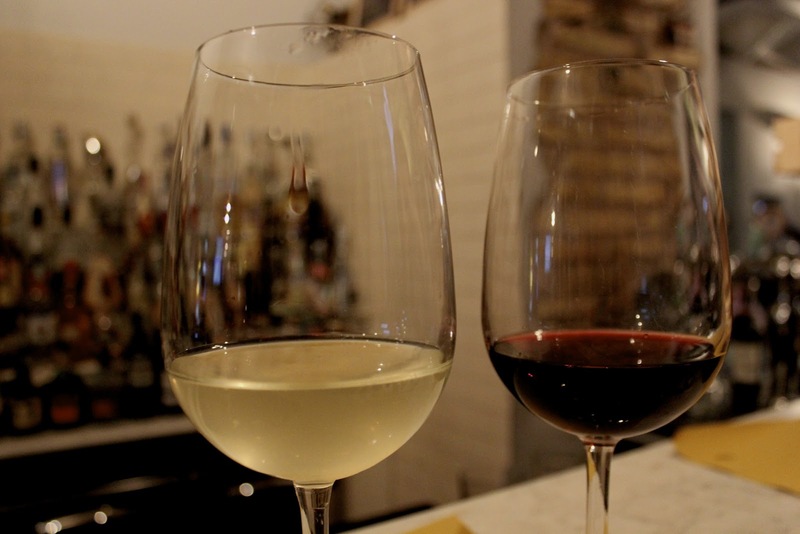 Well good food and of course, a cozy little cafe where you can slip in unnoticed, blend in with the locals, and sip on a glass of house wine or chilled limoncello. Trust me, you want to get away from restaurants that beckon you to come in and offer "tourist menus." Find that little hole in the wall with creaky doors and dusty, exposed brick ceilings. 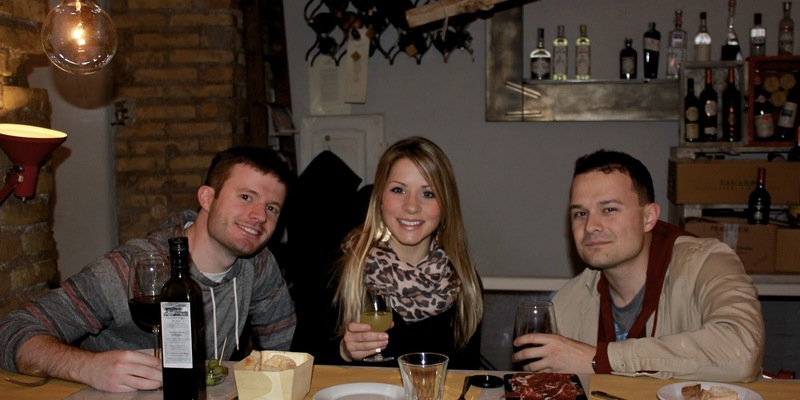 Or, if you happen to know someone who has been living in Rome, follow them around for the weekend! That's what we did, and Ben introduced us to some wonderful restaurants and local bars. We had breakfast twice at the Bakery House ROMA. Their food was so fresh and it was reasonably priced! We each paid under 10Euros for coffee and a sizable breakfast. 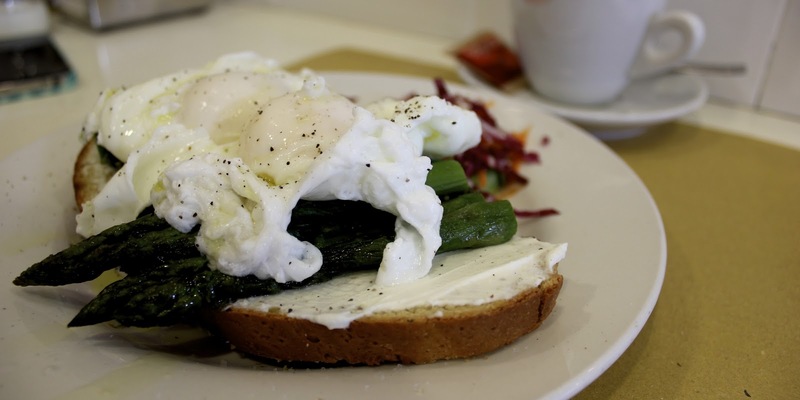 My favorite meal at the Bakery House was their eggs benedict with ham and asparagus. I couldn't leave without trying one of their homemade cupcakes too. I know, I know, breakfast of champions! It was totally worth it! 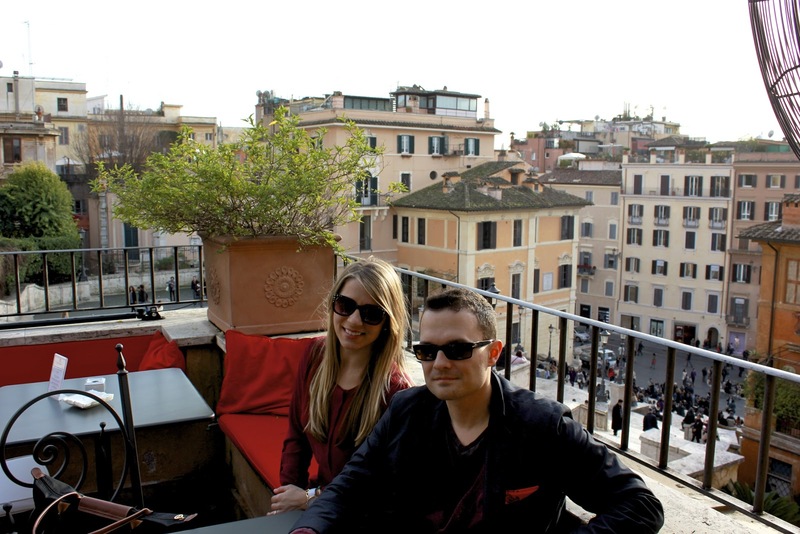 Once we climbed the Spanish Steps, and snapped way too many pictures, we decided it was time for an afternoon drink at Il Palazzetto. The drinks are expensive (like double what you'll pay elsewhere), but believe me, the view was worth every extra Euro we paid. Super tourist stop! Our favorite dinner was enjoyed at Dar Poeta in Rome's Trastevere neighborhood. Several of our friends suggested this little pizzeria, and we were glad we checked it out! Our group arrived early for dinner (like around 6:30pm), so we were seated instantly. An hour later, the place filled up and people were waiting around outside for an available table. My suggestion is to make a reservation if you plan to have dinner at the normal Italian dinner hour. I was also pleasantly shocked that we only paid 8 Euros at Dar Poeta for a huge carafe of house wine! 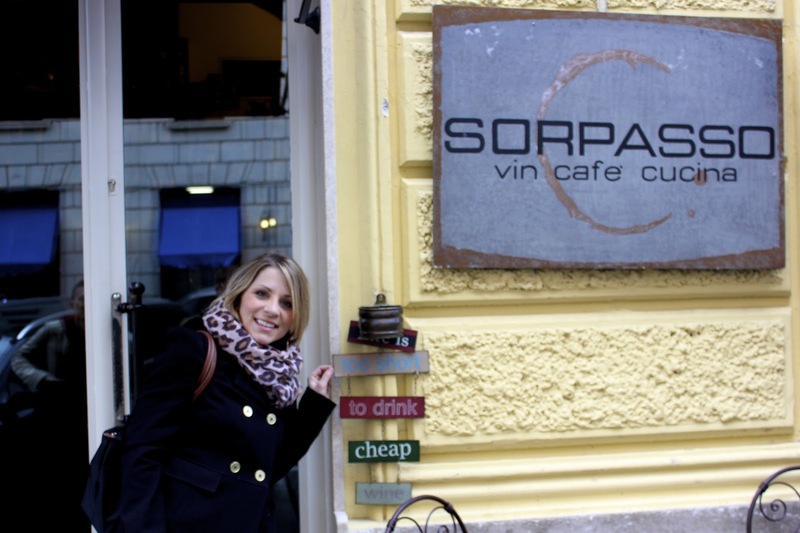 After walking through St. Peter's Basilica, Ben took our little group to Sorpasso Wine Cafe. 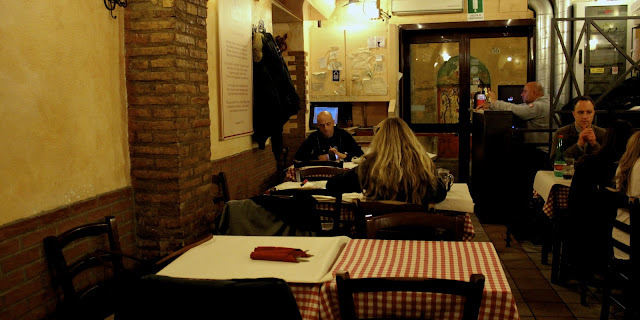 This quaint restaurant/bar is close to the Vatican City, but it's not on the main thoroughfare so it still retains some local charm. I told the bartender that I loved limoncello (even though winter is not the season one typically enjoys the sweet drink), and she poured me a glass of their homemade specialty on the house. Ben and Chris had Chianti and then the bartender also poured me a glass of her favorite prosecco. Needless to say, the staff was great and the atmosphere made our experience even more memorable! We'll be back for dinner next time Rome is on our travel agenda! I know that we only just scratched the surface! 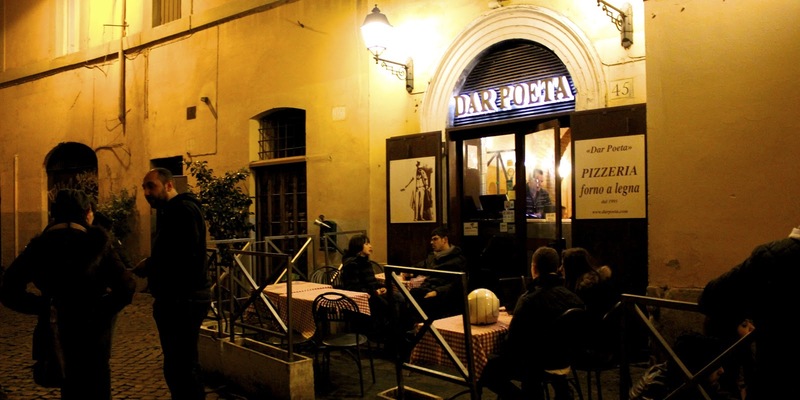 You could probably live a lifetime in Rome and not try all of the food this city has to offer. These are just our notes and perhaps a couple suggestions for your next Roman holiday. Keep adventuring! 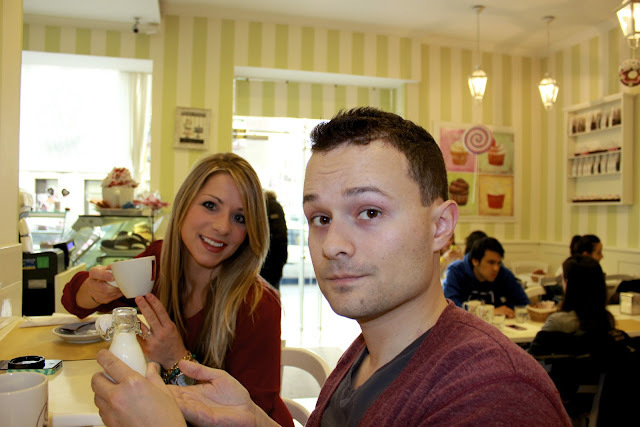 Nothing I hate more than the tourist trap restaurants --- we're forever trying to find those little gems. I must keep this handy should we get to Rome! Totally go to Rome in the off-season! July was one of the most miserable times to visit the city. Rome really is amazing when you take some time to just soak it all in! I've never been to Rome before, but really want to and my boyfriend has definitely been pushing me into this direction! So when the time comes (hopefully soon!) I'll definitely be referencing your recommendations!